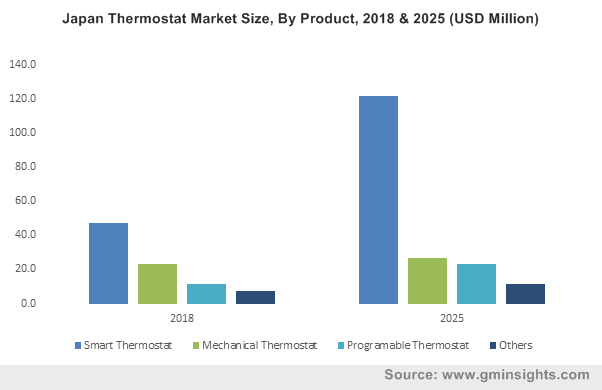 The rising number of investments in the development and expansion of manufacturing facilities is touted to propel the global steam boiler market. A majority of governments worldwide are increasingly reorienting their focus towards the overall expansion of their key economic sectors in conjunction with some of the world’s leading financial institutions, including bigwigs like the World Bank and the Asian Development Bank. The expansion of the manufacturing sector though, is liable to come at the cost of the environment – a major factor that most governments have been taking note of, and have accordingly been enforcing strict regulations on the design and deployment of energy-driven components. The enforcement of a stringent regulatory spectrum is thus bound to bring forth a sizable shift in the steam boiler market outlook in the years ahead. In fact, these regulations have already compelled prominent industry players to develop intelligent energy efficiency solutions with one of the most recent one being the MEC Optimize from Bosch, which is a smart digital efficiency assistant designed to help boiler operators & attendants to identify potential energy losses & recommend concrete countermeasures that effectively address the issue. MEC Optimize is already being used by Park & Bellheimer, which expects to save over €80,000 per year in energy costs through the upgrade. Strict government regulations that make the adoption of low-emission fuels mandatory and the increasing emphasis a number of industrial sectors have been stressing on to adhere to these regulations & sizably reduce their carbon footprint are two most pivotal factors responsible for driving the natural gas powered steam boiler industry in the years ahead. One instance of a strict emission regulation can be claimed to EU’s ambitious goal of reducing the region’s GHG emissions by as much as 40% by 2030 compared to the GHG levels of the 1990s. These regulations coupled with dropping natural gas prices and rising adoption of numerous sustainable technologies are expected to be responsible for driving the natural gas based steam boiler market in the years ahead. According to the Oxford University, the demand for natural gas across Europe started to pick up in 2015 and has continued to surge ever since; reaching the 548 billion cubic meters (bcm) mark in 2017, which was the highest level of natural gas demand over the previous seven years. 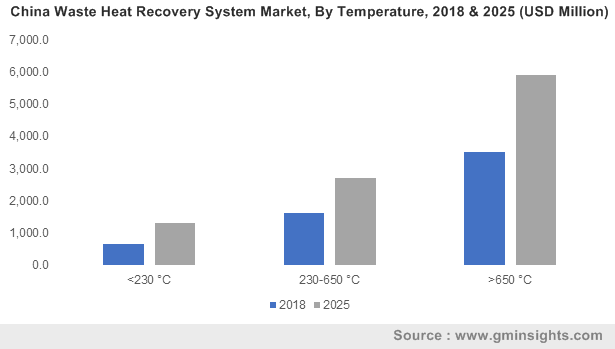 This positive trend would prove to be significantly conducive for the growth of the natural gas powered steam boiler market size, which is slated to expand at a CAGR of 4% 2019-2025. The issues of sustainability & energy efficiency that have gripped myriad industrial sectors worldwide, are projected to be among the primary factors responsible for propelling the condensing steam boiler industry. In traditional steam boilers, the generated heat is passed on to a heat distribution system, and the combustion gases & water vapor generated during the process are discarded as waste. Condensing steam boilers are specifically designed to reduce this waste as they are capable of properly harnessing the evaporation energy and turning it into heat, giving them an added advantage over conventional steam boilers. This capability not only makes condensing steam boilers an ideal option for organizations looking to reduce their carbon footprint & adhere to the increasing regulations, but also allows them to significantly enhance their operating efficiencies. With some industry players boasting of their products attaining efficiencies of up to 98%, the demand for this boiler is slated to continue increasing over the coming years. 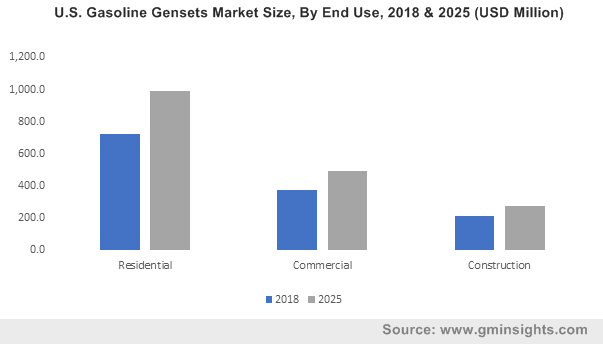 Attributing primarily to the efficiency factor, the condensing steam boiler market is expected to depict a CAGR of 5% over 2019-2025. Driven by the projected rise in the demand for various steam boiler systems, pertaining to the technology and fuel deployed, the global steam boiler market is projected to attract substantial investments in the years ahead. In fact, a report by Global Market Insights, Inc., claims steam boiler market size to exceed the $19 billion renumeration mark by 2025. This entry was posted in ENERGY, MINING, OIL AND GAS and tagged Steam Boiler Industry, Steam Boiler Market, Steam Boiler Market Analysis, Steam Boiler Market Growth, Steam Boiler Market Outlook, Steam Boiler Market Pdf, Steam Boiler Market Price, Steam Boiler Market Report, Steam Boiler Market Share, Steam Boiler Market Size, Steam Boiler Market Trends. With rising efforts to curb power outages in emerging economies & the rapid implementation of T&D systems worldwide, surge arrester market has charted a course of immense growth in the last few years. The product is used to protect equipment from over-voltage transients in T&D systems caused by internal switching events or by lightning strikes. Rapid industrialization across emerging countries along with increasing power generation capacities to meet electricity demands have also complemented the industry landscape. For instance, the average electricity consumption for households was estimated around 3,500 kWh in 2010, but has increased drastically in the last few years owing to rapid urbanization, facilitating the need of efficient overvoltage protection solutions to optimize the continuity of power services whilst ensuring personal safety and reduced immobilization costs. How will the rising occurrences of lightning strikes amplify product adoption? A lightning strike has the potential to destroy millions of home appliances across a power grid. It can also cause significant amount damage to T&D equipment like power transformers owing to the injection of around 120 million volts of added voltage into the system. Indeed, a lightning strike can cause a transformer to blow, knocking out power to thousands of people or even leading to cases of electrical fire outbreaks, particularly in dry environments. According to the National Fire Protection Association (NFPA) reports, during 2007-2011, the U.S. local fire departments responded to around 22,600 fires caused by lightning per year – the fires caused damage to direct property of around $451 million annually. To counter such damages, power stations operators are increasingly installing surge arresters to protect customer’s home appliances and power station infrastructure, which will in turn supplement the expansion of the global surge arrester industry. High voltage products, as per estimates, are anticipated to record extensive sales in the years to come. The product’s increasing use across HVDC (high voltage direct current) lines to drive AC and DC applications requiring power inputs of over 1,100kV will fuel the product demand. 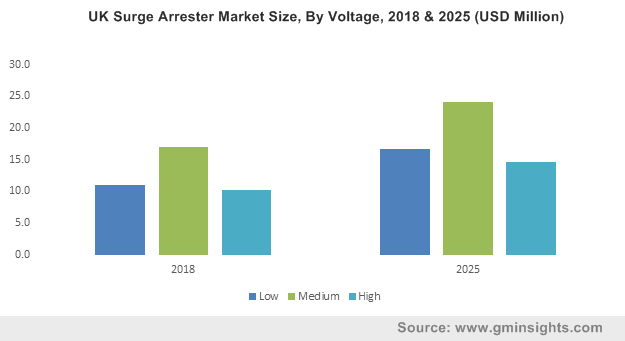 Moreover, rising infrastructure development projects in emerging nations to meet residential and industrial demands will also propel high voltage surge arrester market size, slated to depict a CAGR of 6% over 2019-2025. In 2017, India revealed plans to construct an 800-kV transmission line capable of offering power to over 80 million people in the country. The increasing adoption of FACTS (Flexible AC Transmission Systems) to increase the reliability of line networks along with improved measures to protect transmission & distribution equipment from overvoltage will also stimulate the industry growth. Speaking of the material preference, it is imperative to mention that polymer-based surge arresters find exceptional applications across numerous sectors. Owing to the easy installation & handling, low operational & manufacturing cost, reliable performance in tough environments and superior breaking resistance under overload scenarios, polymer-based surge arrester industry is likely to depict an expansive growth graph in the years ahead. Growing investments to upgrade existing power transmission & distribution infrastructure will also propel the polymer-based surge arrester market size, which was pegged at around USD 600 million in 2018. Rising energy demands along with the growing focus on upgrading existing substations to improve power reliability have been touted to expedite the U.S. surge arrester market in the coming years. With a massive rise in the cases of transformer failure due to absence of proper power protection devices, the demand for these products is bound to increase exponentially. Moreover, increasing cases of lightning strikes in states like Florida will also complement the industry landscape. Reports claim that, on an average, lightning strikes the Florida Power & Light (FPL) service territory over 300,000 times in a year, delivering currents ranging from 10,000 – 200,000 amps, that can induce voltages exceeding a million volts. To tackle such high voltage spikes, FPL has adopted surge arresters as its primary defense solution. As per the INMR, an estimated 1,545,000 surge arresters find home on the FPL distribution system, signifying that the region is an apt revenue pocket for the growth of the surge arrester industry. These exceptionally efficient systems, are massively used worldwide to protect electrical equipment and power system installations against internal switching events and lightning surges. Surge arresters can also directly divert overvoltage to the ground to protect the equipment from damage. Considering their exponential demand graph, it wouldn’t be incorrect to state that the global surge arrester market size of bound to increase by the day, with a target revenue estimation of $2 billion by 2025. This entry was posted in ENERGY, MINING, OIL AND GAS and tagged Surge Arrester Industry, Surge Arrester Market, Surge Arrester Market Analysis, Surge Arrester Market Growth, Surge Arrester Market Outlook, Surge Arrester Market Pdf, Surge Arrester Market Price, Surge Arrester Market Report, Surge Arrester Market Share, Surge Arrester Market Size, Surge Arrester Market Trends. The global heat exchanger market has depicted commendable expansion over the past few years with profound applications in residential and industrial heating and cooling systems. The device can effectively transfer heat between two or more fluids and is widely used in diverse applications like in refrigerators, solar water heaters, space heating systems, in petroleum & chemical plants and more. Thanks to rapid technological advancements in heat exchanger systems, the product’s size has scaled down considerably in recent years, allowing its use in critical medical equipment like artificial heart-lung machine and other design specific tools. For instance, in March 2019, BPHE (brazed plate heat exchanger) provider, SWEP International unveiled its AsyMatrix BPHE design technology which improves heat transfer while reducing pressure drop and refrigerant charge. The company also attained a breakthrough in compactness with its air dryer incorporated with an integrated separator (ADWIS), one of the smallest air dryers available in the market integrated with a refrigerant heat exchanger. Advancements such as the aforementioned are certain to augment the product adoption over the coming years. In an urbanized setting, the product adoption is primarily driven by a stringent regulatory landscape that focuses on reducing greenhouse gas emissions and increasing the proportion of renewable energy usage for all energy sources – including solar thermal applications. Reports from the International Energy Agency’s Solar Heating & Cooling Programme cite that the Chinese government expects to reach the target of 15% renewable energy consumption of total energy consumption by the end of 2020 – a feat that would entail solar energy applications to be a vital component. 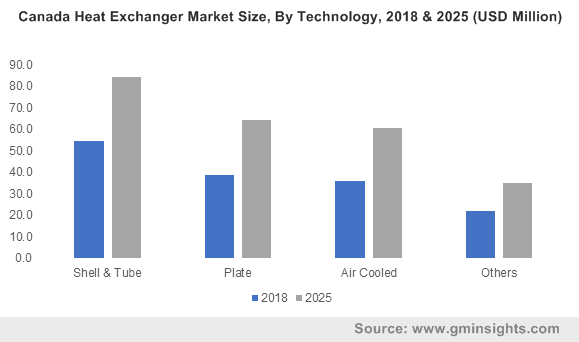 The proliferating adoption of electric vehicles to curb emissions across the globe has also been a driving factor for the growth of heat exchanger industry in recent years. Nowadays electric vehicles are equipped with liquid cooled plate heat exchangers to improve the battery life of an EV which suffers from premature degradation or aging due to heat generation during charging and discharging periods. The device is also used in cabin cooling systems and for cooling drive motors and electronic components in the electric vehicle. The rising adoption of electric vehicles owing to their cost-efficient, zero-emission offering has led to upsurge in heat exchanger sales in recent years. Moreover, according to Edison Electric Institute (EEI) reports, renowned automotive giant BMW, Daimler, and Volkswagen have announced plans for EV sales targets in the range of 15%-25% by 2025. The increasing spectrum of commitments from pivotal automakers are certain to augment EV manufacturing, the consequence of which will be felt across the global heat exchanger market. Speaking of EVs it is pivotal to mention that China is bound to emerge as one of the most lucrative heat exchangers markets worldwide. This can primarily be attributed to the increasing adoption of renewable energy sources and the expansive electric vehicle market in the region. The country is rapidly advancing in terms of EV production, with sales speculated to cross over 2 million in 2019, from 1.1 million in 2018. With rising technological developments incorporated in EVs and myriad government incentives, it is anticipated that EVs will take up a substantial proportion of the market share in China by 2025. 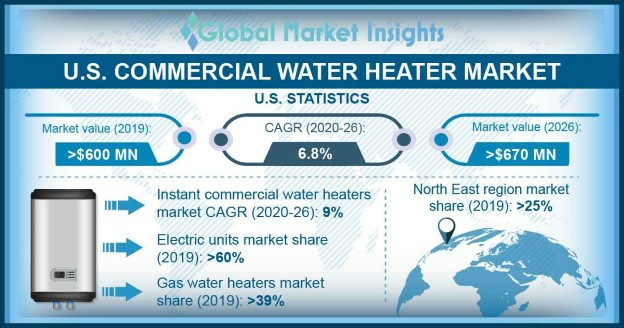 With rising urbanization and increasing investments in solar water heater systems, China heat exchanger market is likely to experience a positive growth graph in the coming years. This entry was posted in ENERGY, MINING, OIL AND GAS and tagged Heat Exchanger Industry, Heat Exchanger Market, Heat Exchanger Market Analysis, Heat Exchanger Market Growth, Heat Exchanger Market Outlook, Heat Exchanger Market Pdf, Heat Exchanger Market Price, Heat Exchanger Market Report, Heat Exchanger Market Share, Heat Exchanger Market Size, Heat Exchanger Market Trends.